“Just a bit of weekend fun here. Here’s the Adventure Team Commando ATW. 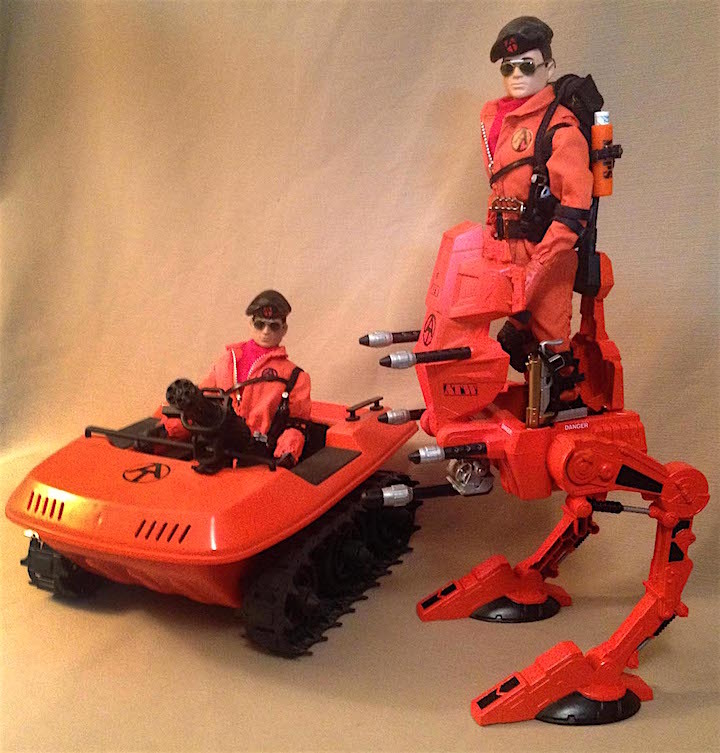 This is a straight up repaint of a Star Wars Assault Walker (currently available on clearance at Walmart for $15). I really tried to find something to customize here, but when something is already this cool, there’s not much to do! Look For This Box— Here’s what the toy package looks like. 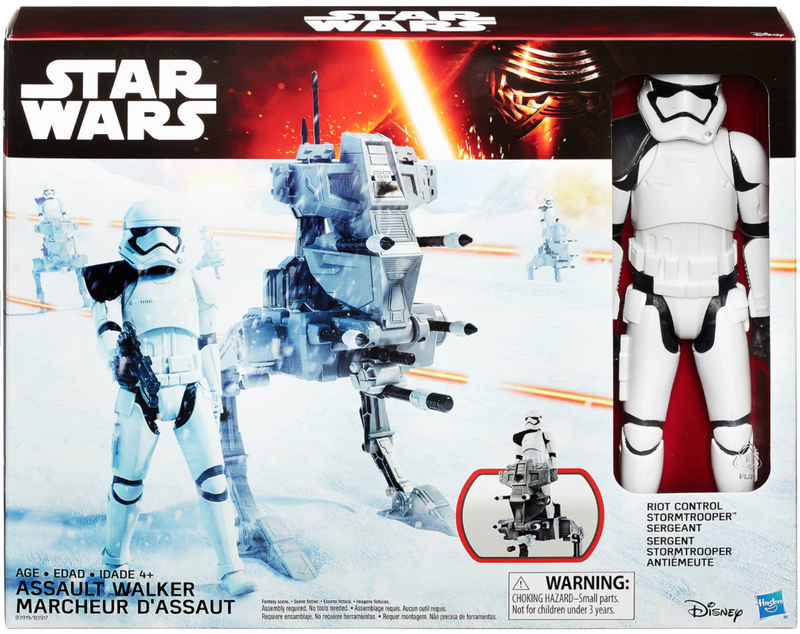 At first glance, you may think you’re only buying one of those barely poseable storm trooper figures, but upon further study, you see that you’re also getting the walker shown in the battle scene. TOO COOL! (Photo: Hasbro) Click to enlarge. 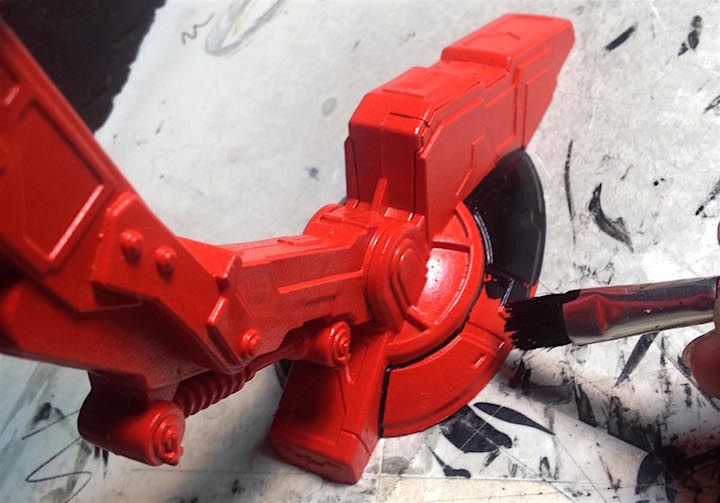 One careful stroke at a time— Wayne proves you can still paint your toys the old-fashioned way—with a brush—and get GREAT results. (Photo: WFT) Click to enlarge. 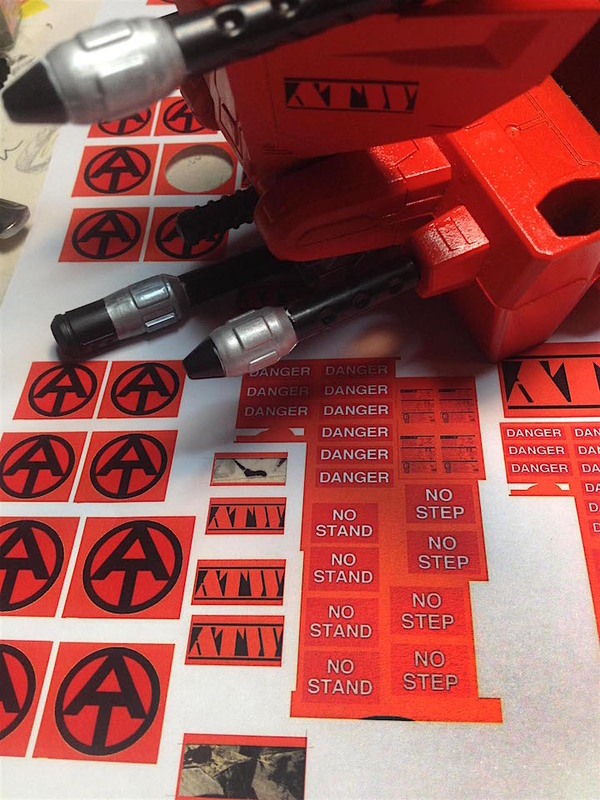 Powerful Decals— As a professional artist, Wayne’s skills enable him to increase his custom’s realism while simultaneously keeping the ’70s AT “toy-like quality” he enjoys. (Photo: WFT) Click to enlarge. 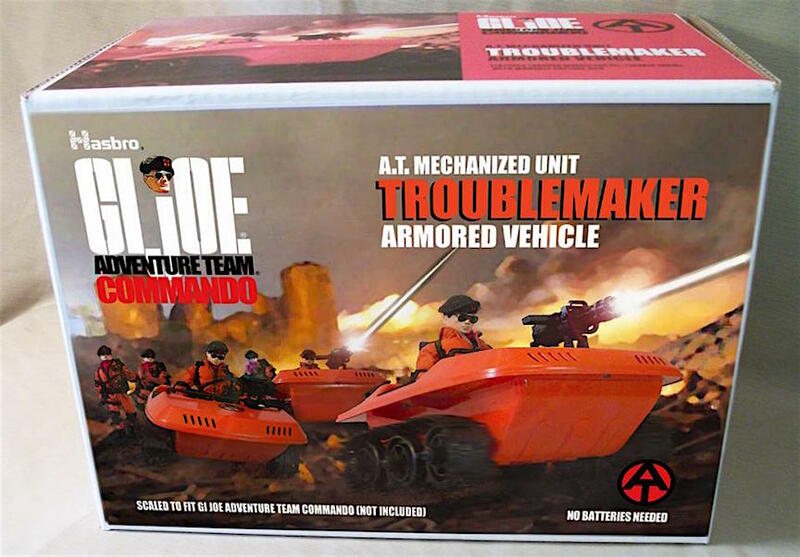 Box ’em up REAL good!— As Wayne has proven time and time again, even though Hasbro has given up on GIjOE’s beloved “Adventure Team,” there’s nothing stopping its fans from making their own custom boxes for custom AT figures. So…let’s all get busy! (Photo: WTF) Click to enlarge. Back off, Bad Guys— There’s a new sheriff in town. 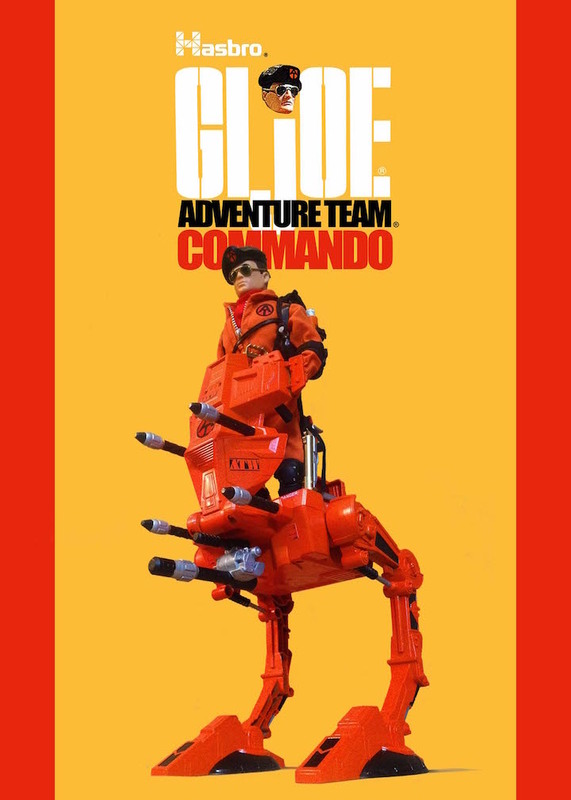 And his name is “Adventure Team Commando!” (Thanks to “Wild” Wayne Faucher.) (Photo: WTF) Click to enlarge. Gettin’ SERIOUS— Wayne’s AT Commando force continues to grow. (Photo: WTF) Click to enlarge. Bottom Line: Once again, Wayne has officially BLOWN OUR MINDS here at The Joe Report, and we’d like to thank him sincerely for sharing these pics and for inspiring countless 1:6 customizers around the world. Absolutely SUPERB work, Wayne. If you’d like to contact Wayne, please leave a comment here with any kudos and/or questions. Thanks!